No, this is not a scene from a sequel of Train to Busan or the like, this is a video taken last October 5, 2016, where Tsunami-like waves hits Busan in South Korea. The said region was heavily affected by super typhoon Chaba with the international name of Megi. 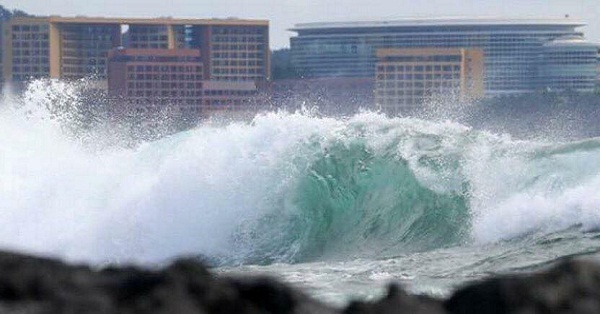 Chaba, which was on its way to Japan was running at 110 miles per hour, bringing along destructive winds and rains all throughout Busan, Ulsan and Jeju Island. 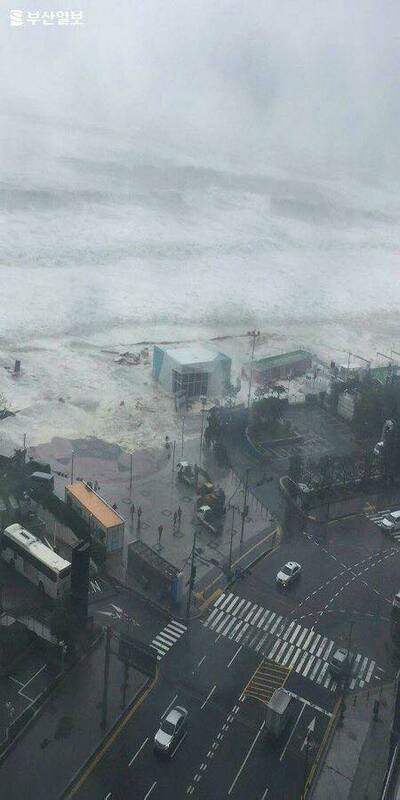 In the video, it seems like a Tsunami had hit Busan, but is actually a storm-surge which affected not only Busan but the Ulsan regionas well. It was estimated that more than 220,000 residents has been distressed by the storm. Power Electricity has been shut down all throughout the area and the largest port in South Korea which is in Busan, has been shut down as well. Recent report noted that six people have been killed and four others are missing, one victim who passed away was a firefighter who was apparently on rescue duty. The storm had left approximately 220 people homeless and damages are still not estimated by the government. Typhoon Chaba, is the fourth storm to hit area in no more than one month, with three previous storms bringing widespread flood as well. As Chaba is now headed towards Japan, Japanese government prepares themselves and issues warning about the incoming storm. Flights are also cancelled for the safety of the passengers. The hashtag #PrayforBusan, has been trending in Twitter starting Wednesday morning.